Individual modules can be completed for continuing professional development and funding may be available through Continuing Professional Development End of Life Partnership Grant. All modules will be mapped against the NHS KSF Core Dimensions and NICE Quality Standards – End of Life Care for Adults. 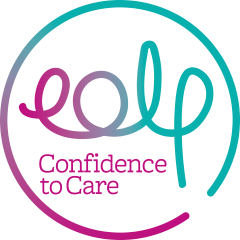 Funding may be available through the EoLP Continuing Professional Development Grant. Different attitudes to death, dying and loss (incorporating gender, race, religion and cultural issues). Models of grief in relation to the impact on client/carers. Diverse communication and the effects on personal/professional values and beliefs. Risk assessment and the ethical and legal issues surrounding loss. Using reflection to examine personal and professional development in relation to symptom management within palliative care practices.